Descriptive essays can be defined as a genre of essays that demand a student to write a description of something or a particular subject. These kinds of essays are aimed at examining a student's ability to create a written account of a certain experience. The essays give a student enough freedom to explore their artistic capabilities and put them into practice. You can only claim to have written a descriptive essay if the reader can clearly form a mental picture and get the exact impression of what you are talking about. If that is not achieved, your essay may not be categorised as a descriptive one. From above one can argue that this genre of writing is not easy to write. One needs to be skilled enough and have the artistic mind to get the job done. To help you with some pointers, here is a complete guide on how to write a high quality descriptive essay. Brainstorming is important – these kinds of essays require brainstorming so as an individual can come up with a top notch final product. Before beginning to write, you need to come up some pointers that will guide you through the writing process. A good example could be, if asked to describe a phone, you may want to write down some of its features such as the size, the color, keypads, and the camera among others. This way, you can then go ahead and collect credible information about the phone and expound on the points once you start writing. By brainstorming, you are also guaranteed that chances of missing out on some points are greatly reduced. Draft your content – this stage involves coming up with an initial draft of your essay. It involves designing an outline which will be followed to the latter. The goal of the essay should be to give the reader great information about the subject matter in a vivid manner. From your outline and draft you should be focussed on showing the readers what you are really talking about as opposed to telling them. Make sure you involve all your senses when writing up your description. Your language should be clear and concise – since the objective of such essays is to ensure that the reader gets to understand what you are really talking about your language should be spot on. You need to choose your words carefully lest you risk being misunderstood and missing out on the whole point of descriptive writing. Most of the words you end up choosing should be relevant to the subject matter so that they can deliver the intended meaning. Make use of vivid language – besides being just concise and observing clarity with your language, you also need to adapt the use of a vivid language. The best part about vivid language is that paints a clear picture to the mind of the reader as opposed to using ordinary language. Replacing a word such as a horse with stallion can seem negligible to you but it makes a huge difference in a reader's mind. In the above example, when a reader goes through your essay, they'll have the image of a male horse in their mind which is better than just mentioning the word horse. Make the most of your senses – this genre of writing demands a lot than you can imagine. When writing, you should be able to engage the readers to such an extent that you can naturally appeal to their senses. Put yourself in the shoes of someone describing something to someone. The way you are cable of selling the image to them is the same way you should write this sort of essays. If for example you are describing a certain food, you should be able to explain exactly how the food tasted, smelled, looked and it caught your attention. In summery, you should be able to embellish the moment with senses. Describe your emotions – this might sound as a daunting task but if you want your essay to be top notch, you should convincingly describe to the readers what you were thinking about. You need to bring out all the feelings and emotions that are related to the subject matter. Readers will be intrigued and captivated with your material. This form of writing also gives you a chance to connect with your readers on a deeper level. Because most of your readers must have gone through some emotions at some stage in their life, you need to be able to tap into this emotional reservoir if you ever envision achieving the full goal of your descriptive abilities. Have the ability of leaving your readers with a clear impression of the subject matter – when writing your description, you should be in a position of evoking a sense of familiarity and appreciation with your readers. For example, if you are describing food, through your description, a reader should walk away having the cravings for that which you were describing. Organization is vital – this is something that most writers forget; they concentrate a lot on the aforementioned tips but fail to organize their work. If you want to be effective with this kind of writing you need to present your description in a logical and organized manner. Organization makes it easier for the reader to go through your description and gives them a better understanding of your essay. Revise your work – upon completion of the writing phase, you need to take some time to properly review and modify your essays to give it more meaning. 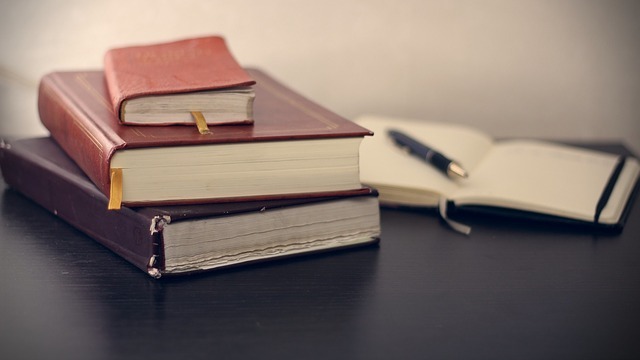 When revising your content, you need to find out whether: the essay makes sense, the figurative language used evokes all the five senses, the information provided gives a complete picture of the subject matter and if a connection has been established between the description and writer. Publish your work – the final step involved is for you to publish your essay. You may also want to share it with your classmates and get their take on your work. In summary, descriptive essays are not the easiest to write but with proper guidance and practice, one can write them with ease.